We all love shortcuts, and because of how useful keyboard shortcuts can be, Corel Corporation – the developers of CorelDraw X3 – added to the program some keyboard shortcuts that are very much loved by us, CorelDraw X3 users. But still, you will notice that not all commands in the program as a keyboard shortcut to executing it, or perhaps we just which that the keyboard shortcut to a command can be some else. Well, if you fall into this category, that is, if you are looking for a way to add a keyboard shortcut to a command or if you wish to change the existing/preset shortcut of a command, this article is design to help you accomplish it. But before we proceed to telling you how to accomplish your aim, we want you to understand this fact: Keyboard Shortcut of a Command, refers to command that do not affect the styling or formatting of text. 1. Click Tools in the Menu Bar scroll to Customization. 2. And Option dialogue box will appear. In the list of categories under Customization, click on Commands. 3. Next click the Shortcut Keys tab. 4. Choose Main from the Shortcut Key Table list box. 5. After that, choose a command category from the top list box, so as to see all related commands to that category. 6. Next click a Command in the Commands list. Note: If a shortcut keys is already assign to the command you selected, the shortcut key will be displayed in the Current Shortcut Keys box. 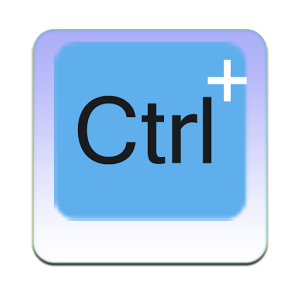 If you wish to change it or if there is no current shortcut keys assign to the command and you want to assign one, still leave it selected. 7. Then Click the New Shortcut Key box, and press a key combination. Note: if the key combination you entered is already assigned to another command, that command will be listed in the Currently Assigned To box. This means you will have to enter another key combination. But if you still which to use that same key combination for the command you selected, then do not change it. Note: if the key combination you assign to the command is already assigned to another command, then this second assignment overwrites the first thereby making the first command that is using the shortcut not to have any shortcut assign to it. But if you have enable/checked the Navigate to conflict on assign check box before clicking the assign button, you will be automatically navigated to the command whose shortcut you have reassigned/given way, so that you can assign a new shortcut key to it. And please, do not forget to click Ok so as to effect the changes.